My journey through all of Star Trek is one series nearer to completion. 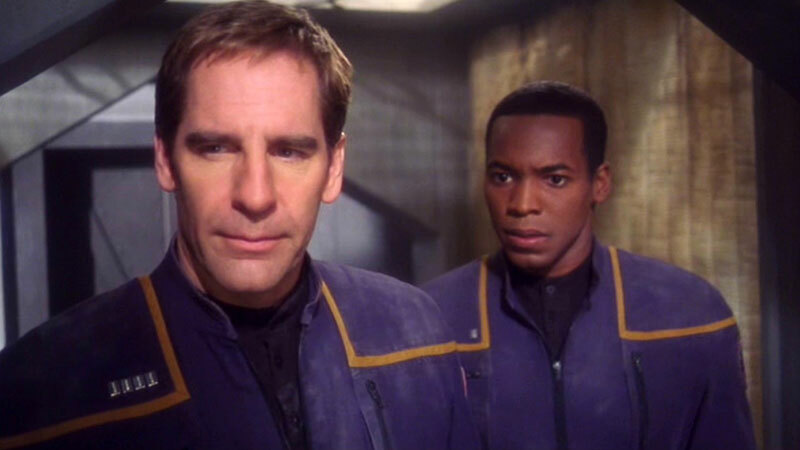 I finished Star Trek: Enterprise, which completes all of the live action series. All I have left is the Animated Series. Enterprise wasn’t nearly as bad as fan opinion led me to believe it would be. Sure, it didn’t reach some of the heights of the other shows, but overall it wasn’t awful. 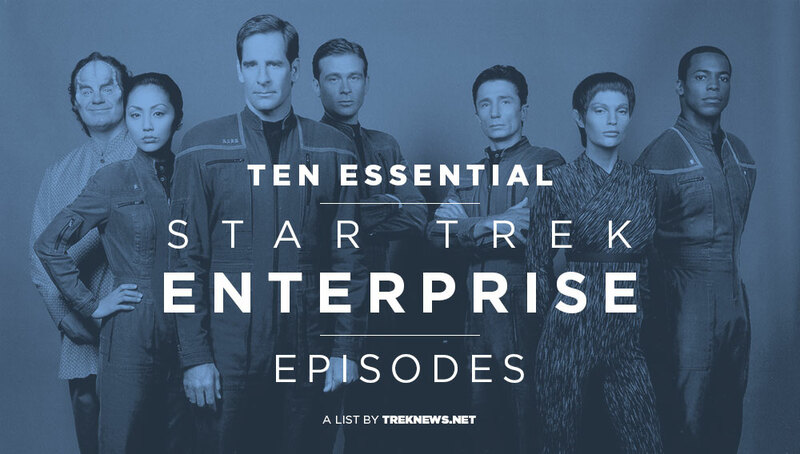 There were some truly awful episodes, true, but every Trek series has a handful of them. I did find myself groaning aloud on occasion at the heavy-handed winks and nods to the other series and fan service, and shouting criticism at my television when Captain Archer made terrible decisions (which he does frequently.) My biggest criticism, in short, is that sometimes it seemed to be trying too hard to set up the other shows, particularly The Original Series, that it never got time to be its own show. Basically, I didn’t hate it, but I definitely still like at least 3 other series more. 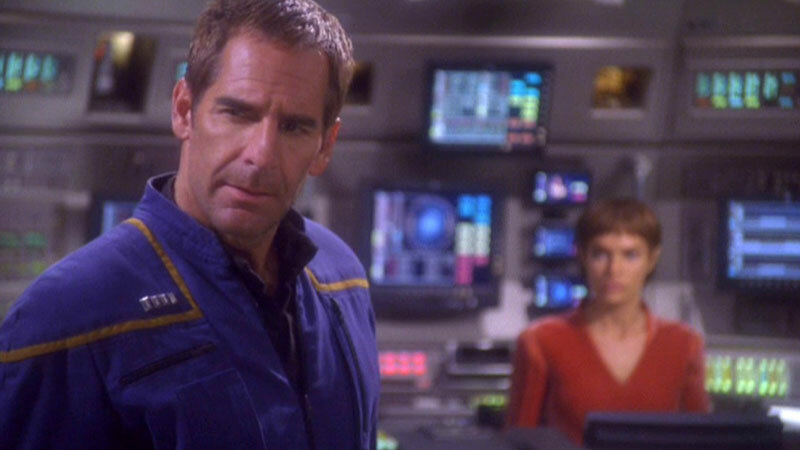 Here are my top ten favorite Star Trek: Enterprise episodes. Two and three part story arcs are combined, else those would be my entire list. Captain Archer and Travis Mayweather find themselves at an internment camp full of Suliban, run by the Tandarans. We learn a bit about the Suliban, that their homeworld is uninhabitable and that they are a mostly nomadic people. The Suliban in the camp are innocent civilians, and not part of the cabal or genetically enhanced. Archer and Travis decide that they have been wrongfully imprisoned and help them escape. A pretty solid season 1 episode where we learn more about our characters and an alien species. 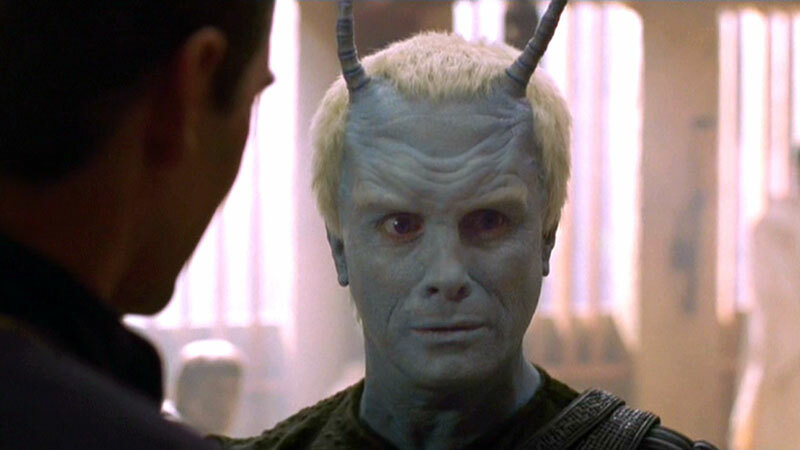 We’re introduced to my favorite character, Shran. 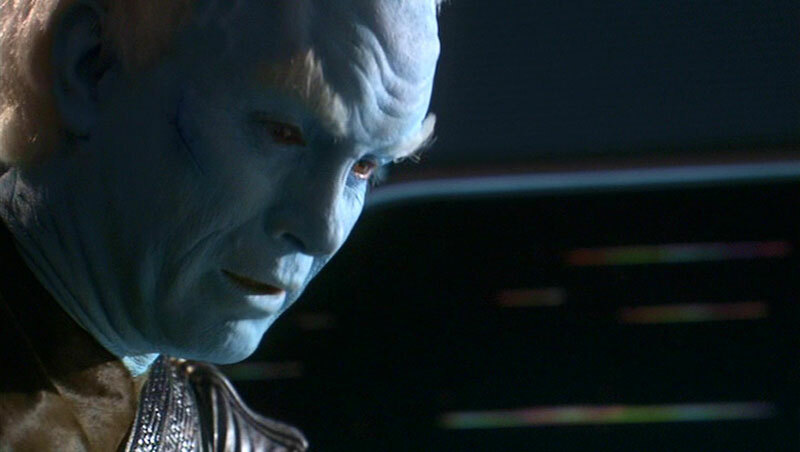 The Enterprise visits the Vulcan sanctuary at P’Jem to find that a group of Andorians has taken the monks hostage. Hijinks ensue, and we learn that the Vulcans have a listening post at the sanctuary that they use to spy on the Andorians, who they’ve recently been at war with. We see that the Vulcans aren’t as trustworthy or as honest as we believe they are, and get back story on two founding worlds of the Federation. Phlox and Archer wrangle over whether or not to help an alien species cure a genetic disease, or to let the natural evolution of the world take its course, which would result in an oppressed species becoming dominant. This is one of the first instances in which human explorers have to hash out their policy on interference in other worlds. The Prime Directive episode before there was a Prime Directive. 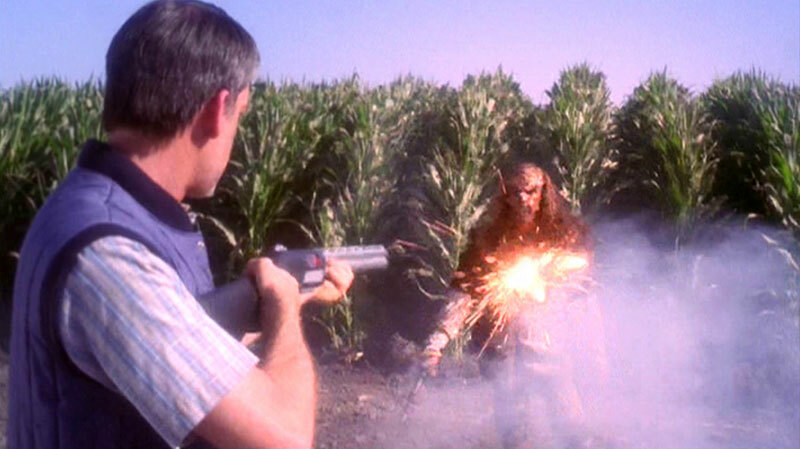 Enterprise’s pilot episode, which I thought was pretty strong. We get an introduction to all of our main characters, a handful of alien species, and our main antagonist for the season in the Suliban. It sets up the time period, state of human exploration. Solid first episode. 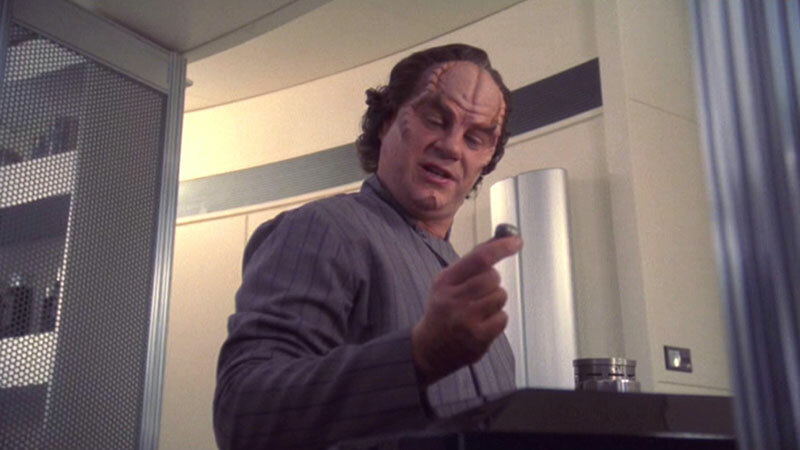 Phlox creates a fast-growing clone of Trip to harvest organs needed after the original Trip is severely injured. We get to watch the clone, Sim, grow up rapidly and develop relationships with the crew. Archer agonizes over whether or not it’s moral to cause Sim’s death to save Trip. This episode reminded me a lot of the Voyager episode ‘Tuvix,” actually. It has some very Star Trek-y moral ambiguity and questioning. Tellarites, Andorians, Vulcans, Romulans, oh my! The Enterprise is ferrying diplomats to Babel One to negotiate a peace, but it’s threatened by those darn, scheming Romulans. I honestly just thought this arc was a lot of fun, and set up the foundations of the Federation. I liked this episode for the same reason I liked “Bride of Chaotica” from Voyager. It’s just good, wacky fun. 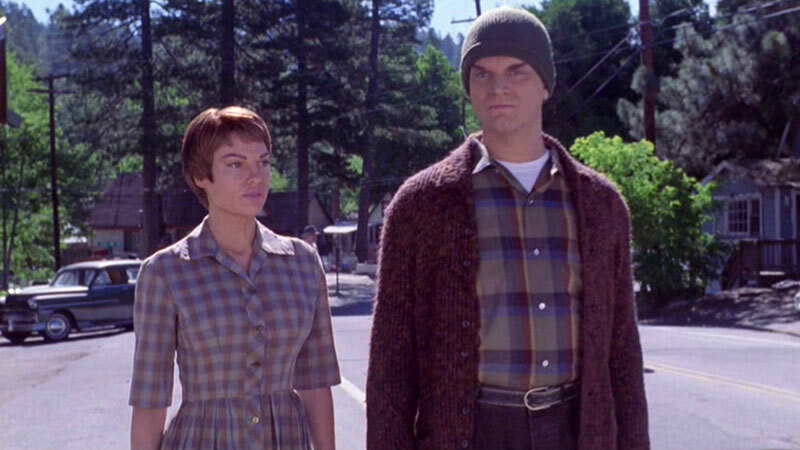 Vulcans get stranded in the United States in the 20th century and have to try to adapt and blend in. We get to see Vulcans do things like wash dishes and watch “I Love Lucy.” This also carries on the proud Star Trek tradition of actors playing their character’s ancestors. 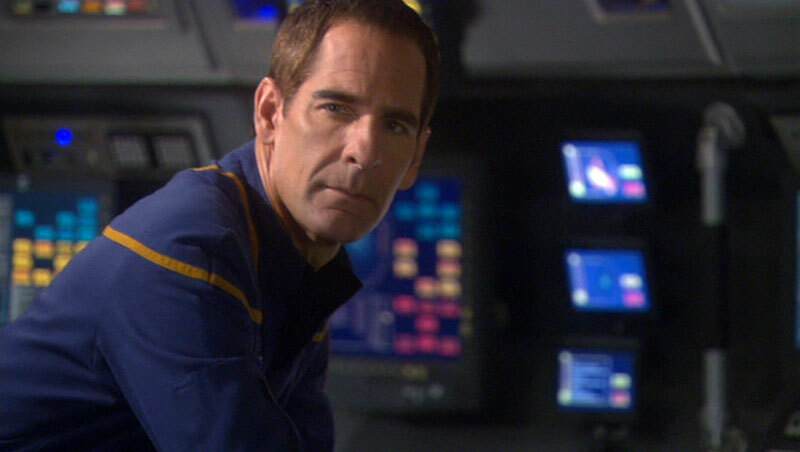 Earth’s embassy on Vulcan is bombed, killing dozens, including Admiral Forrest. The Enterprise arrives to investigate and learn that a Vulcan fringe group called the Syrannites may be responsible. Over the three-episode arc we learn that they are innocent. 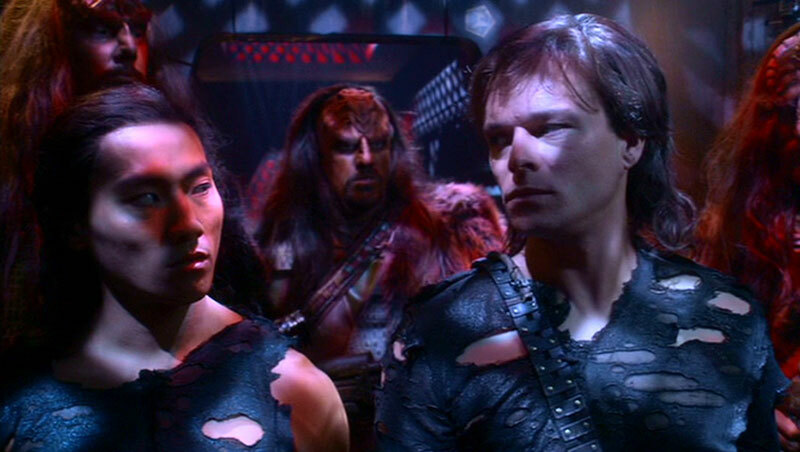 Archer helps them find the Kir’Shara, which contains the full, true teachings of Surak. We learn Vulcan has strayed from its intended path and that there is a conspiracy in the High Command. We get to meet young T’Pau, who we will later see in TOS, and learn about her past. Vulcan is set to rights. 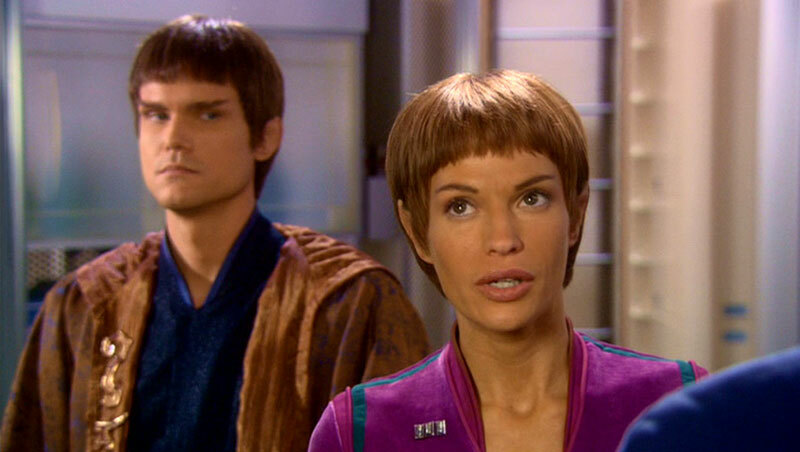 I now totally get why fans think this should have been the series finale rather than ‘These Are the Voyages.” This story arc is my favorite of the series because of its message and relevance to our world today. Terra Prime, a xenophobic terrorist group on Earth, threatens to destroy Starfleet Command unless all aliens leave the planet. They want Earth to be for humans alone, and fear and despise aliens. This hit a little too close to home for me right now. Some of Terra Prime’s rhetoric sounds like it could have been lifted from a certain U.S. presidential candidate’s campaign. It’s a warning of what could happen if hatred escalates and triumphs over compassion and tolerance. The peaceful society of the United Federation of Planets and xenophobic organizations like Terra Prime cannot coexist, and we have to overcome those impulses to create a better universe. Those are my favorite episodes from Enterprise. I’m sure everyone’s list will vary a bit, but I do think some of the better episodes of the series are included here. Would you have added anything else? Let us know in the comments! 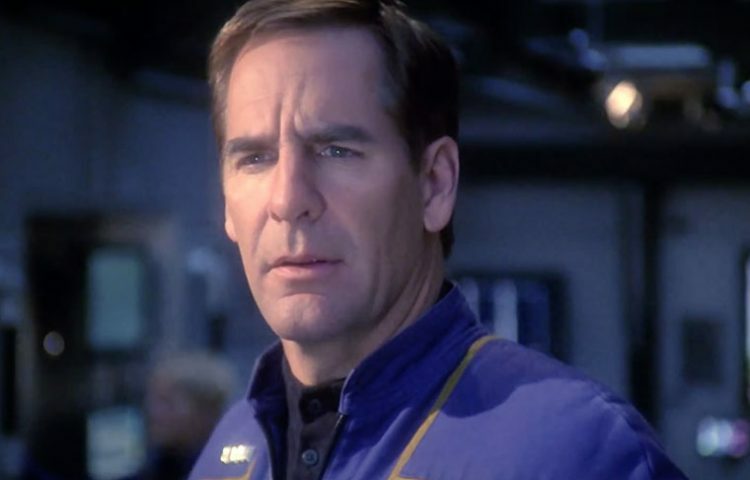 Star Trek: Enterprise Season One, Season Two, Season Three and Season Four are all available in high-definition on Blu-ray. 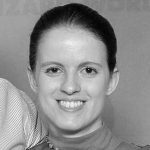 Michelle lives in northern Minnesota, where she does normal things by day and nerdy things by weekend and night. Her interests range from Star Trek, to history, archaeology, languages, fantasy and sci-fi, politics, and cats.